When it comes to food, I am a definite foodie. I love to cook and I love to eat. When I find a recipe that I enjoy and my husband enjoys as well, I feel like I hit the jack pot. This recipe is one of those. My husband requests these all the time. They are so easy to make and you can switch it up anyway you like. The ingredients below are what I used in this particular batch but you can add or take out what you like. 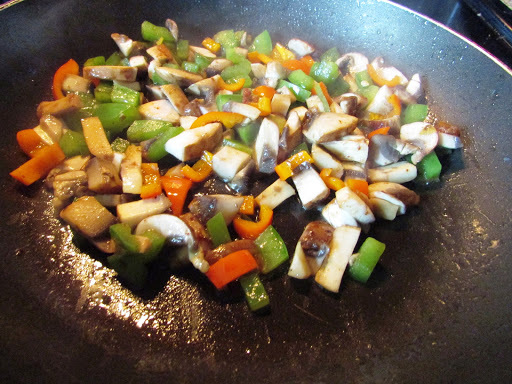 I sauteed my veggies with olive oil and added some salt and pepper. 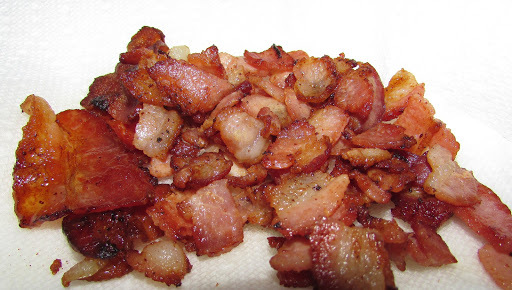 Next I mix the hash browns in a bowl with olive oil, salt and pepper. 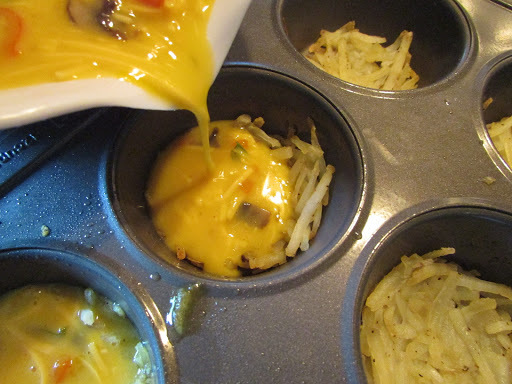 Then add a small portion to each muffin tin. Once they have cooked for the full 25 minutes, press them down. 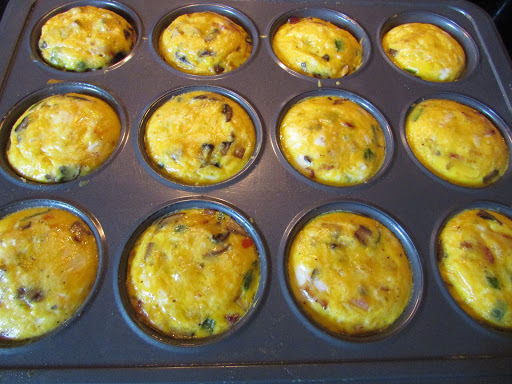 Mix your eggs, a little milk, bacon, veggies, and cheese together in a bowl. 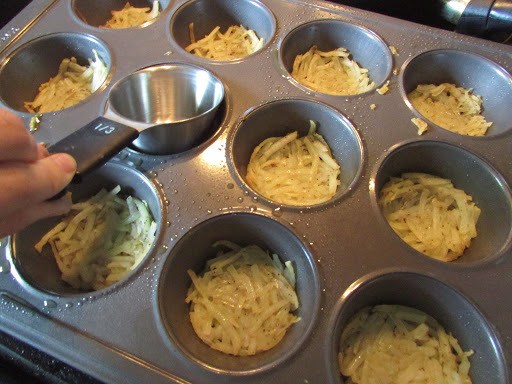 Then pour your egg mixture into each muffin tin on top of the hash browns. This is what they should look like before putting them into the oven. 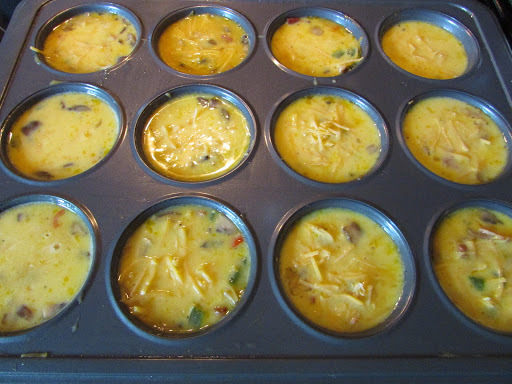 Cook for 25 minutes in the oven or until the egg is fully cooked, then let cool. These are great to store in the frig and every morning take one or two out to warm up for breakfast. Great for on the go breakfast idea. You can also make these super healthy by changing or adding different veggies. Don’t forget to follow and thanks for stopping by!